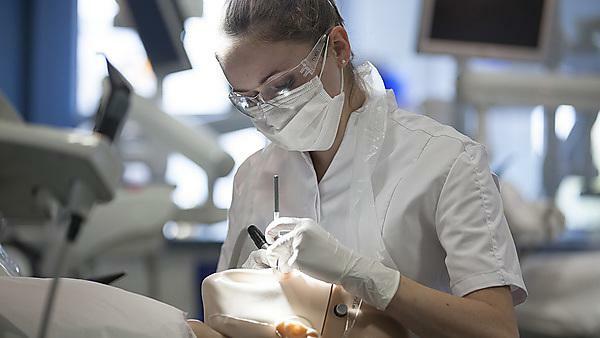 A research study at Plymouth University Peninsula School of Dentistry, which aims to develop a simple saliva test for gum disease (periodontitis), is the NIHR portfolio study to take place in the region and has achieved a significant milestone with the full recruitment of participants to the study. The recruitment was achieved by the Peninsula Dental Social Enterprise through its Dental Education Facilities and community outreach programmes, with support from the NIHR Clinical Research Network: South West Peninsula. Periodontitis is a common inflammatory oral disease that affects the supporting structures of the teeth (gums and bone). It is also linked to other diseases such as diabetes and artherosclerosis (thickening of the artery walls), making it a significant problem in dental patient care. According to the British Society of Periodontology, around 10 per cent of the UK population appear to suffer from the more severe forms of the disease which result in tooth loss. Across the world, around 70 per cent of people have some form of the disease. As well as being unpleasant for the patient, periodontitis is time-consuming and expensive to treat. As a result, it is crucial that a way is found to prevent the disease, assess its risks and ensure early detection. At present diagnosis relies on a visual assessment and radiography. These methods can only detect what damage the disease has caused – they cannot be used to assess the current status of the disease or predict the risk of future disease. As a consequence, the Plymouth research team are developing a rapid and reliable saliva test which in time may be made available to large numbers of people as an ‘over the counter’ product, for routine use by the general public. This study was supported by the National Institute for Health Research Clinical Research Network for the South West Peninsula which provided advice to secure service support costs funding and develop the recruitment strategy.